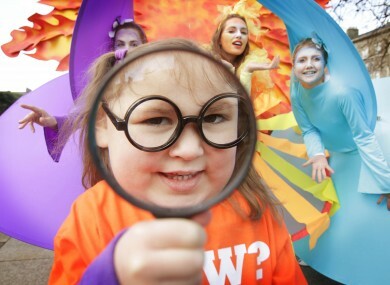 Emily Parkes, aged 5, helps launch this year's St Patrick's Festival in Dublin. EVERY EVENING, TheJournal.ie brings you a round-up of the day’s biggest stories, as well as the bits and pieces you may have missed. One man was injured this morning in a shooting which occurred as a burglary was disturbed by the property owner in Kilmoyle, Co Longford. The government has unveiled its Pathways to Work initiative which aims to get unemployed people back into the workforce. The plan also introduces a code under which jobseekers must actively seek employment or engage in training in return for continued welfare support. Separately, Microsoft has announced a €98 million investment in its Clondalkin data centre, which will create 400 construction jobs. Over a quarter of the debtors who are under NAMA’s direct control have transferred assets to family members or out of the state in an effort to push them beyond the agency’s reach, according to new figures from the Department of Finance. Meanwhile, the department’s inquiry into the €3.6 billion accounting error made public last year continues. An interim report has been compiled from the department’s internal review, while the external review is currently “under way”, according to Minister Noonan. A British Labour MP has been suspended from his party after being arrested on suspicion of assault for an alleged incident in a House of Commons pub last night. Two seals have been found dying from bullet wounds on a beach in Waterford over the past two days, according to the Irish Seal Sanctuary. An eight-year-old girl has been critically injured after being shot by her classmate in what Washington state police believe was an accidental shooting. An Bord Pleanála has refused planning permission for the new National Children’s Hospital, saying the structure would have had a “profound negative impact” on the capital’s skyline. In our poll today, we asked where you thought the hospital should be built; the majority of respondents (75 per cent) chose ‘near the M50′. Change Nation has been trending on Twitter today following its launch in Dublin earlier this afternoon. But do you know what it’s all about? Here are the details. Harry Potter author JK Rowling has signed a new book deal: this time, the hugely successful writer will be writing for grown-ups. It’s that time of the week again: check out our three-trailer Thursday. There are a few months to go before Euro 2012 kicks off – so it’s time to get practising on the Irish soccer team’s support song. Here are the lyrics (and the tune). Email “The Daily Fix: Thursday”. Feedback on “The Daily Fix: Thursday”.